Until now, we discussed some problems with mid-rise development – now it’s time to propose some possible solutions. Some of the issues cannot be resolved in a simple manner, such as the costs of the safety measures that are required from buildings of this height or the cost of marketing a small building. But many issues can be resolved and can have a substantial cumulative impact on the feasibility and quality of mid-rise development. As we mentioned earlier, although the mid-rise buildings guidelines are in place, since it is a policy and not zoning, the approval process is quite similar in time and cost to the approval of a high-rise building. The obvious solution would be of course to update the zoning. So obvious, that the study itself proposed it, and city planner Jenifer Keesmaat wanted to do it, starting in St. Clair Avenue West. There are a few reasons that this hasn’t happened. When a project needs to go through an approval process, Section 37 of the Planning Act permits municipalities to negotiate extra benefits (such as building facilities, improving the streetscape, or cash contributions for future improvements) in return for approving densities higher than what the zoning allows. Now, funding public infrastructure in such a way seem like a dubious practice, but since the province limits the city’s ability to raise money in other ways, we will just accept it as a fact of life. A possible solution to this problem would be changing the zoning to allow mid-rise construction as-of-right, but requiring predefined cash contribution for the increased density. Similar schemes exist in other places, for example in BC. While not an ideal solution, the benefits in a streamlined process are probably worth it. The other reason the city did not rezone the mid-rise areas is the loss of control. While both zoning and policies can be changed, it is much easier to change a policy to reduce the allowable densities than to roll back zoning that allows the same density. The will to maintain control is understandable: just think of all the crappy developments that were approved in the previous decades and what would happen if the city were forced to approving similar ones. On top of that, the approval process gives the city (or more exactly, the local councils) some power over issues that are beyond the scope of the guidelines, such as specific design elements. But while it might have made sense to begin with case-by-case approvals while experimenting with a new system, now the city is presumably confident that the guidelines promote good buildings and good urban environment, and the benefits of a predictable and equitable system should outweigh the city’s will to maintain control over every aspect of the development. As we said in the previous post, there are many missed opportunities to rebuild the streets to a more pedestrian-oriented form. Discussing the appropriate design of pedestrian oriented streets would require a whole post by itself, but it is not really an issue of design but more of implementation. The minimum that should be done is to guarantee that whenever an arterial street is rebuilt, it should also be adapted to the present standards, and become worth of the “Avenue” branding. In addition, in some cases it makes sense to rebuild streets at an appropriate pedestrian-friendly form even if they are not in need for rebuilding. 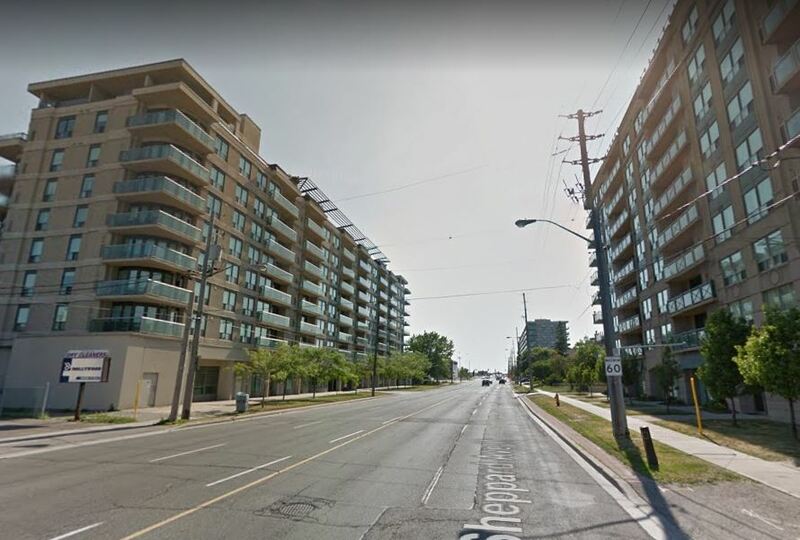 First, it makes sense on streets where significant redevelopment has already taken place (such as Sheppard Avenue West between Bathurst and Allen Road), and the redesign of the street will help improve the quality of life for numerous new residents. 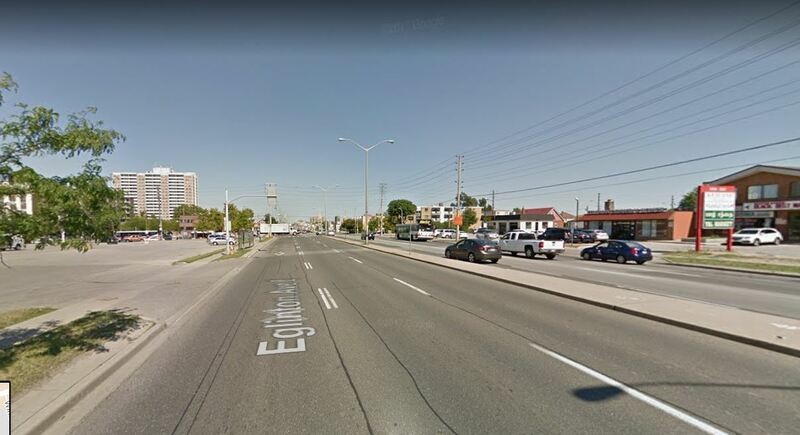 Second, on streets where the city wants to promote redevelopment but are especially hostile (such as Eglinton Avenue East), improving the street might be the missing ingredient that can tip the scale in favour of development. As we discussed earlier, a parking space is usually more expensive to build in a Toronto mid-rise building than in a high-rise. The question if parking requirements make sense is a big issue and we will save it for another opportunity. We will just state here that in my opinion they don’t. 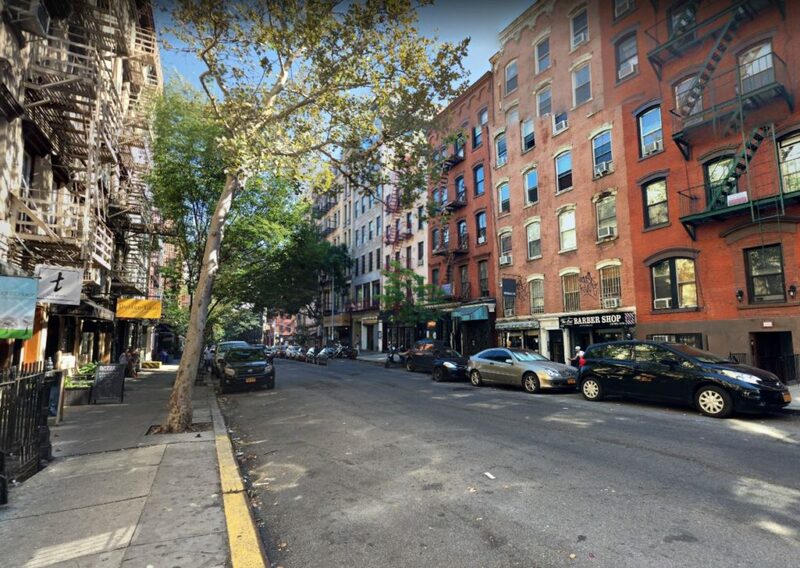 The only significant issue with eliminating parking requirements is the fear that those without parking in their buildings will overwhelm the capacity use the existing free street parking, and this can be easily solved by eliminating free on-street parking. Will lack of on-site parking be a problem for the residents? For those who don’t commute by car, not so much. Even if you own a car, if you don’t use it daily it is not a big hassle to keep it at a garage a few minutes away from your building. But of course, when you don’t commute daily, a car might not make economic sense anyway. The more relevant issue is what will be the impact of selectively eliminating parking requirements for mid-rise buildings, which is a type of development the city favours. The likely outcome is that we will see a big increase in mid-rise development, especially in more central locations. Further from transit, developers will still want to provide some parking, but it’s also often in further locations where larger sites are more prevalent, making parking cheaper to build. But the advantages of eliminating parking requirements go beyond just encouraging development on sites that are physically suitable for mid-rise development but too expensive to build. Eliminating parking requirements would open opportunities for redevelopment that do not exist today at all. The reason is that for mid-rise development, it is usually unfeasible to develop sites narrower than 30 m because the underground parking would be too inefficient and drive construction costs up. If however, providing parking was optional, all those narrower lots could still be developed. On Avenues in older areas (which are also better served by transit), these smaller lots make up most the street frontage. Beside a few wide lots, usually single-storey chain stores with parking, most lots are 6 m (20 feet) wide with 2-storey buildings. There is huge potential for small, modest 4-6 storey buildings on these lots. 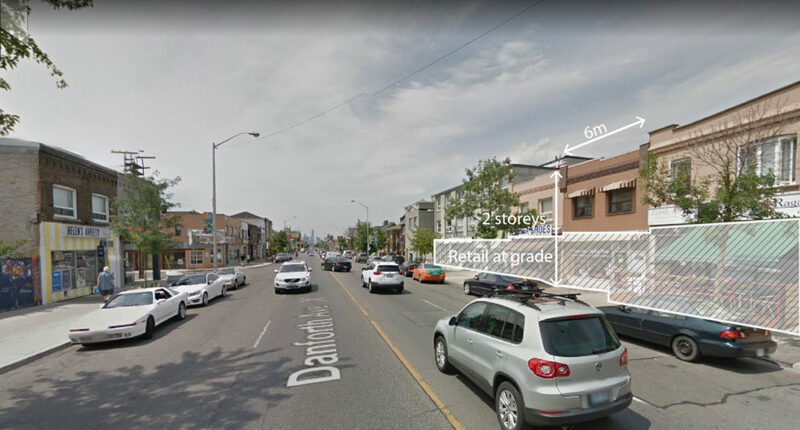 Eliminating parking requirements would not only allow redevelopment of these lots, but unlike the typical mid-rise development which occurs large sites or requires complex land assembly, this development would maintain the attractive rhythm of narrow frontages. This is a feature that new larger buildings are often required to try and replicate. E 7th Street, Manhattan. Narrow 5-6 storey buildings make a very human street.